It’s 2018, and god knows there’s a lot of bad news competing for our attention. But in a slight change to our usual programming, we’ve decided on less detail but more scope for this, a roundup of Scottish conservation issues. Why? Because there’s only a few of us here at Walk Highlands Towers and many more of you, and we need your help to keep up with what has also been a hell of a year for the Scottish environment. Here’s a few things I’m concerned about – if you are too, pick one (or more) and find out more, write an email, do some citizen journalism, get involved – it’s your land. American tycoons propose a £10 million championship golf course on a protected area of wetland and dunes. Stop me if you’ve heard this one before. 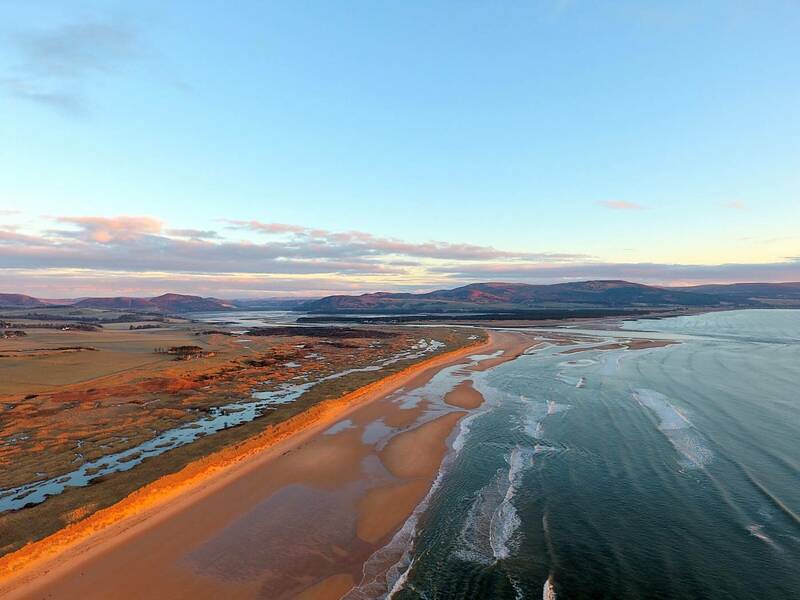 Coul Links in Sutherland was finally approved by the Highland Council planning office in June 2018. This happened despite huge local and national opposition (1800 written objections and 89,000 petition signatories), designations including Ramsar and Site of Special Scientific Interest (for rare dune and wetland habitat) and Special Protection Area (for birdlife), objections from over a dozen NGO’s including The Royal Society for the Protection of Birds, National Trust for Scotland and the Scottish Wildlife Trust. The approval followed a series of behind the scenes interventions by a senior Scottish Government official connected to Fergus Ewing (uncovered by Freedom of Information requests and reported in the Herald). A local opposition campaign has submitted evidence that shows the developer’s own environmental reports to Highland Council to be inaccurate and misleading. Because statutory body Scottish Natural Heritage objected, the Scottish Government are obliged to consider whether to call this decision in for public inquiry. They have to look again at the evidence presented to the council. They have asked for more time to do this – a local spokesperson told me by phone that they hope to have the Government’s decision by late August. In July, the World Commission on Protected Areas stepped into the fray, to urge the Government to call an inquiry. To put this into context, at the end of July the Guardian reported that Trump’s Menie resort was an environmental failure, so much so that the area’s SSSI status now hangs in the balance. Once again, this was exposed by FOI requests. Trump’s claims of 6,000 jobs in the area have come to nought, and the concern is that job promises for our next golfing saga may ring just as hollow in time. It might be worth saying that wildlife and habitat designations are not used for any old piece of land. They are applied after weeks (or more) of research and based on national and global scientific measures. Coul Links is triple designated for genuine reasons. The fact that this is challenged at all should be a wakeup call, but for Highland Council and the developers, arguing the small print is business as usual. 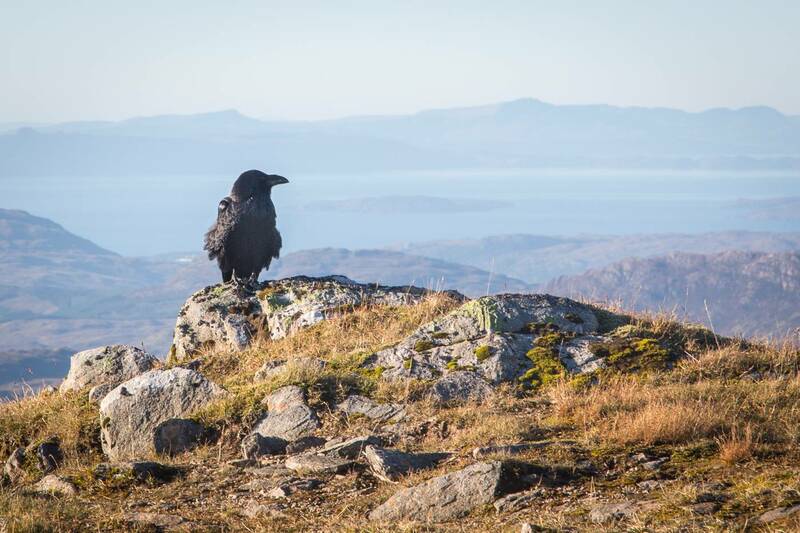 Back in April, SNH announced a 5-year license for the cull of 300 ravens in the Strathbraan area of Perthshire, in order, they said, to assess the possible impact of raven predation on waders. The license was issued to an organisation called the Strathbraan Community Collaboration for Waders (SCCW), a local grouping of estates and farmers with support from shooting interests the Scottish Gamekeeper’s Association and the Game and Wildlife Conservation Trust. The news proved hugely unpopular with the general public, partly because the area is largely grouse moor and well known as a wildlife crime hotspot, with six satellite tagged golden eagles mysteriously vanishing in recent years… and partly because there was no prior consultation with other stakeholders. The suspicion was that the cull was designed to stop predation on red grouse, not curlew and lapwing. The RSPB quickly opposed the license, and a big email writing campaign resulted in a response from SNH chair Mike Cantley which first repeated their position, and then offered further investigation by the Scientific Advisory Committee. 168,000 people signed a petition to end the license, and the Scottish Raptor Study Group successfully crowdfunded over £25,000 to file a Judicial Review challenging SNH’s decision. At the end of July (on the same day the JR application was due to be submitted) the SAC reported back. SNH’s own scientists found that the science behind the cull was ‘completely inadequate’, ‘seriously flawed’ and that that cull ‘will fail to provide any meaningful evidence’. As a result, the licensee – the SCCW – apparently agreed immediately to suspend their cull for the rest of 2018, not enforced by SNH but on a voluntary basis. Is this justice for ravens? The record for ‘voluntary restraint’ by the shooting lobby is woeful, as those campaigning against mountain hare culls can attest. The voluntary nature of the suspension means the license is still legally in force and can be re-enacted at any time this year. And once again, these kinds of a fait accompli announcements raise suspicions of decisions made behind closed doors by a minority of vested interests to the detriment of democracy and the public good, not to mention our environment. 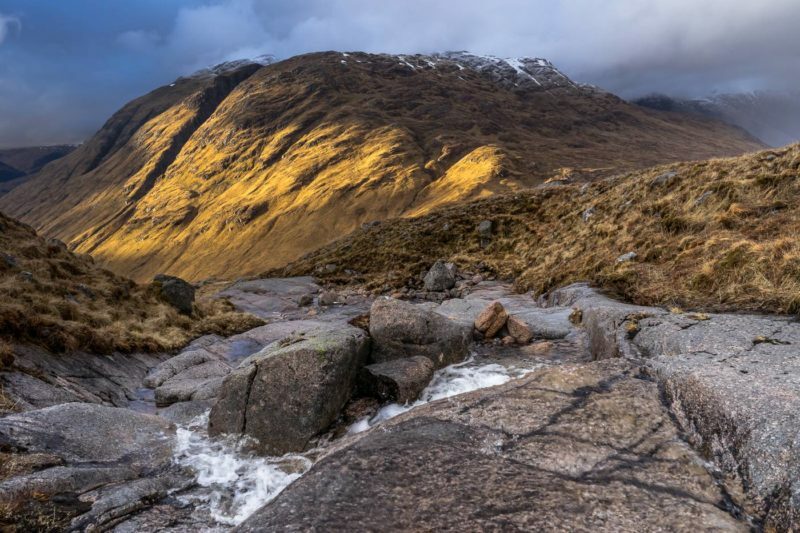 News is now circulating that a developer is planning a ‘micro hydro’ scheme on every tributary feeding the main River Etive – 7 in total. There’s currently a run on this type of development because the subsidies for building them expire next year, yet campaigners say that all seven of these schemes will generate less than 1/10th of a single offshore turbine. 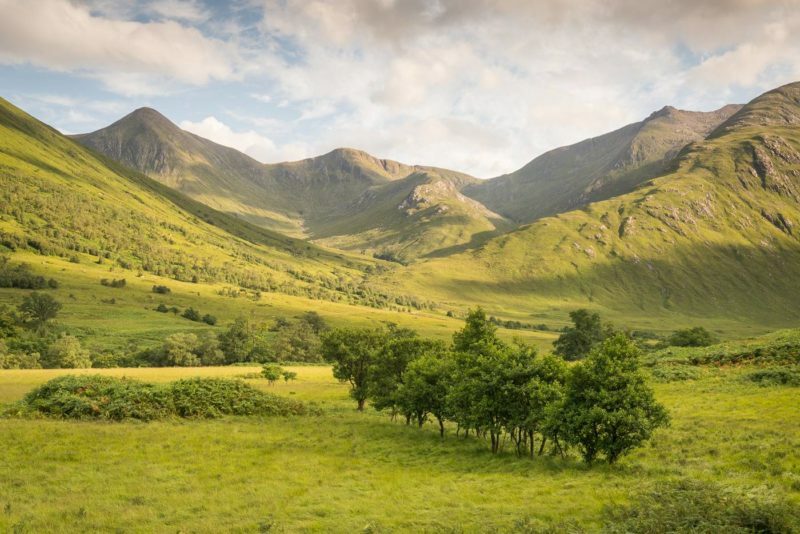 Glen Etive is both a Wild Land Area and a core National Scenic Area, and therefore should have the highest level of landscape protection, but neither designation is legally binding (the wording is pretty woolly), and both developers and landowners know it. Part of the problem with these schemes is that they are often designed and implemented by civil engineering companies working on an urban scale. As a result, huge tracks are ploughed into fragile places, causing erosion, plant and animal disturbance and massive scenic impact. Ambitious infrastructure projects extract monetary value, of course, but they also showcase power and influence. Glen Etive is an area beloved of many. Access is straight forward and there’s plenty of informal camping in the glen. It’s popular with white water boaters and photography tours, too. There is a littering problem but given its heavy use, the majority seem to enjoy it in the right spirit. Higher up the tributary glens there is a palpable sense of remoteness and solitude – so called ‘wild qualities’ that are extremely rare in our modern world. Old shielings line the rivers as water tumbles freely through natural ravines and over tiers of slabby granite. These places will all be lost, simply because the landowner and developer is cashing in on a subsidy goldrush with out of date technology. The scale of this proposal may be a shock, but it’s not even half the story. Over the next 3-4 years, a much larger operation has ambitions for micro hydro in all the high glens between Ben Nevis and Spean Bridge. The idea was shelved a few years ago when Rio Tinto owned the Lochaber aluminium smelter, but new owners GFG Alliance have apparently expanded the proposals. 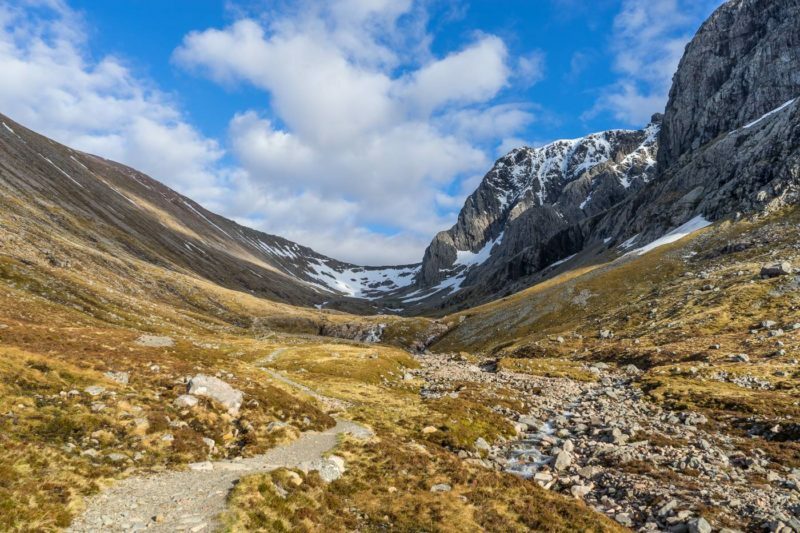 They include the double designated Allt a’ Mhuilinn (in Coire Leis; if you’ve walked into the CIC hut, or to climb on the north face of the Ben then you’ve walked beside it) and most or all the glens north of the Grey Corries, including the incredibly remote and beautiful Killiechonate Forest. Recent news pieces in the Oban Times and Energy Voice show they are consulting on community part-ownership, perhaps as a means of generating support and softening opposition. I’ve even heard privately that the Allt a’ Mhuilinn proposal might be an ‘aunt sally’ – the developers are prepared to sacrifice this one as a means of pushing the remainder through planning. Subsidiary companies of GFG are heavily invested in the Scottish energy sector and are also developing the Glen Shirro windfarm near Laggan. Following a meeting between first minister Nicola Sturgeon and executive chair Sanjeev Gupta in March this year, the group doubled their commitment to £60 million. They plan to power a 400-employee alloy wheel factory and restart Scottish steel manufacture with the energy generated, which will feed into Lochaber hydro, already the biggest hydro scheme in the country. 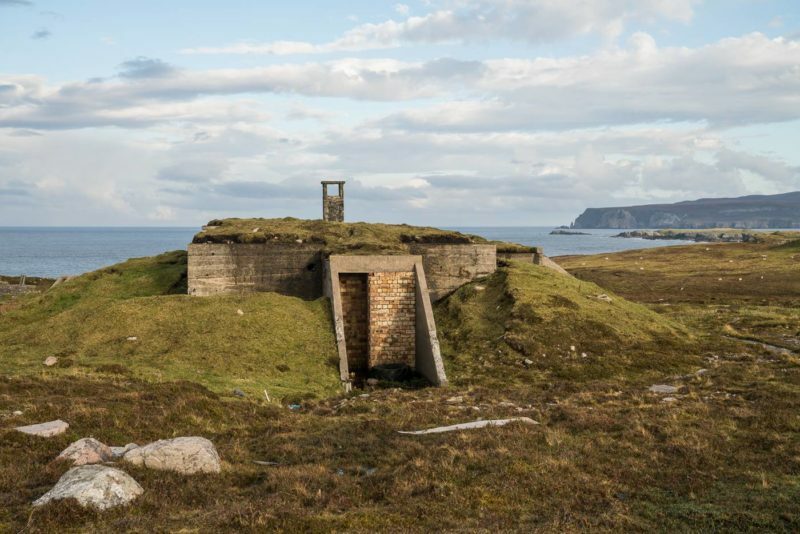 One of the most intriguing news items recently was the announcement of a Scottish space launch site on the A’Mhoine peninsula in Sutherland. All sorts of silliness about space tourism ensued, but the reality will likely be two vertical launch pads for satellite tech with payloads of less than 500kg. The story behind the headlines is even more interesting. 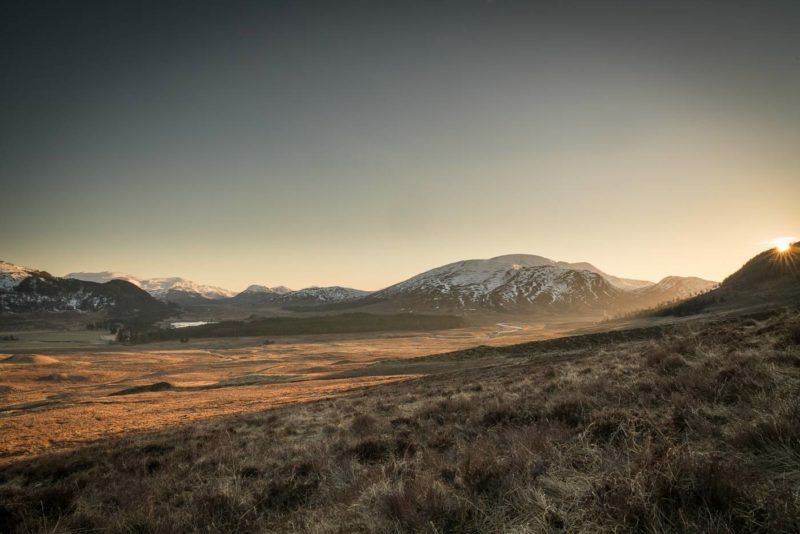 The announcement followed years of consultation on the best sites and resulted in the Sceptre report, jointly published by Highland and Island Enterprise and the UK Space Agency. Sceptre found that Saxa Vord on Unst (the most northerly of the Shetland Isles) was the best location for a launch site. Much of the infrastructure needed is already in place – it’s an old Ministry of Defence radar site – there’s a minimal civilian population and it’s the only site where ‘dog leg’ trajectories are not required. Unst based Shetland Space Centre subsequently signed a ‘memorandum of understanding’ with the developer which promises a communications centre, but why the change of launch site to the mainland? Another (leaked) report seems to show that HIE have yet to consult either the MOD or the Civilian Aviation Authority about the A’Mhione location. A source tells me the nearby Cape Wrath bomb run onto the island of An Garbh-eilean requires about 100 days of low altitude no-fly-zone a year, which would impact directly on space launches, and the site is also under a high altitude international flight path. Shouldn’t this kind of discussion take place ahead of £23 million + funding from the UK to US developer Lockheed Martin? Is this “the highest level of special” relationship that Trump talked about? Nearby is Britain’s only breeding site for Greenshanks – not a hugely rare species, but a rare site nonetheless. Part of the peninsula is triple designated with Ramsar, a SSSI and an SAC, and part of it is crofting land. The developers will want to avoid the settlement of Talmine, but the 4km safety exclusion zone may push the proposal back into designated land. And is everyone in the Melness crofting community in favour of a spaceport in their back garden? 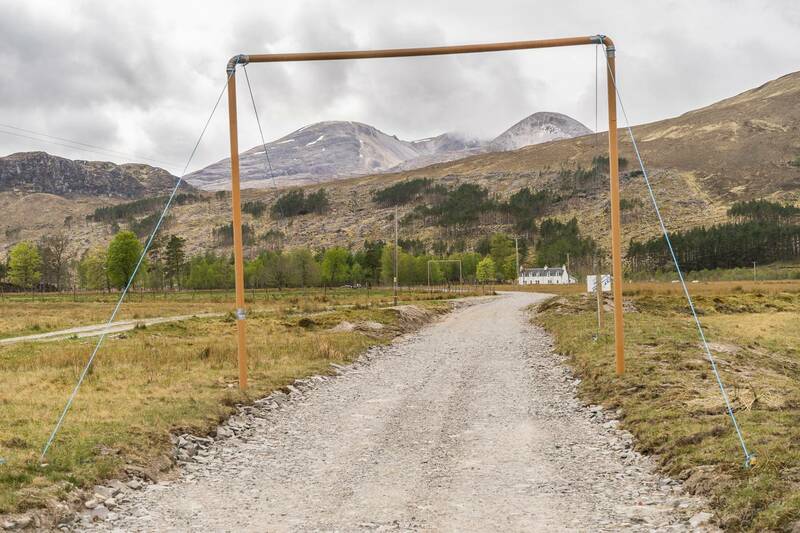 It may depend on whether the launch site itself is currently crofted, but if locals object the case could end up in Land Court… complicated and messy for both developer in particular and land reform politics in general, not to mention the impact on the local community. Perhaps the most literal example of the tensions between development and environment – an actual battlefield, just outside Inverness. Culloden is the site of the last battle fought on British soil, and a war grave where over 2,000 died in 1746. It marked the end of the Scottish uprising and the introduction of laws prosecuting against the clan system and Gaelic culture. In May 2018, 16 houses were approved on Viewhill farm, inside the conservation area, by Highland Council. Despite a previous application being rejected, a different developer appealed and then won the case. The Scottish Government announced they were not able to intervene on planning matters… this time. Confusingly, the second time around ‘a mix up’ in the votes was reported, and the case reviewed again, before it was finally approved. Might an FOI be in order here? NTS, who look after the battlefield site, argue that Viewhill demonstrates the need for planning reform and an equal right of appeal – at present, developers can appeal council decisions, but those who oppose cannot. Scotland’s largest export (which is also the UK’s largest food export) is in dire straits. Our sea lochs are being poisoned by pesticides used to treat the sea lice which plague high-density fish farms. Prawns and lobster are particularly at risk, but birds, mammals and other fish are also affected. The effluent and chemicals generated by overcrowded farms effectively create habitat ‘shadows’ nearby where little else can survive, and there are concerns about animal welfare too: 10 million diseased salmon were destroyed in 2016, and predatory seals are still being shot. The industry is planning to double its business by 2030, and the charity One Kind has just released a league table of salmon farm performance. It makes for an uncomfortable read. Our outdoor interests are supposed to be neatly compartmentalised as recreation only, separate from our roles as tax payers and citizens, but perhaps we should all take our contribution a bit more seriously. What we do in our time off is worth £2.6 billion per year to Scotland’s economy (2012 figures), a figure that stands up alongside any of the sectors described here. My second concern is less about the finances. A pattern emerges when you take a step back and consider these things as part of a whole. By driving civil scale infrastructure into remote and fragile environments, building on historic cultural sites and ‘managing’ wildlife irresponsibly, those in gatekeeper positions are quite literally bulldozing Scottish heritage for power and profit. Whether unwitting or not, this amounts to revisionism – an attack on cultural identity. I’m not talking about nationhood, but a sense of self. Scotland is still a unique and beautiful place. It has special qualities – coast, mountain and loch, plants, people and animals – that make it very different from anywhere in the world. This community of unique qualities is irreplaceable. Once they are gone, they are gone for good. There’s an opportunity here for a majority Scottish government to put some clear water between themselves and a Westminster that is otherwise occupied: Lead on the environment, be more progressive and less secretive. Are they up to the challenge? Are we?